This puzzle was created by Colin Beveridge. With kind permission, I have adapted it here, introducing some additional details to make it tougher and adding a ludicrous narrative for good measure. Please do look at the original version of the puzzle, but be warned that that page does give most of the solution, so perhaps save it for when you get stuck or want to check your answer. Maths knowledge required: Very basic knowledge of sequences (explained in the footnote). Knowledge of the rules of tennis is also necessary. A roar fills the air. Shaking your head groggily, you raise your eyes from the neatly trimmed grass to gaze blearily around. Where on Earth are you? Your mind is blank. With a sudden jolt, reality comes flooding back. Of course! You are in the Wimbledon final; this is Centre Court! You must have been so deep in “The Zone” that you forgot where you were. As the deafening sound resolves itself into thunderous applause, you realise that the match must be over. But what happened? Did you win? You scour your mind for details of the last few hours, but the thoughts that you manage to dredge up are hazy and disconnected. You are pretty sure that the match went to five sets. Somehow you can also recall that you and your opponent won the same number of games and, most bizarrely, that the number of games that one player won across the five sets followed an arithmetic progression. * You also remember that every set was won with an ace and that you claimed eight consecutive games on two separate occasions. You can hear the umpire announcing the score, but your woozy brain cannot manage to connect the syllables into words. On the other side of the net, your opponent is stepping forward to shake your hand, but you cannot read his expression. Should you congratulate him or not? What was the score in the match? Did you win? NOTES: A tie-break counts as a game. 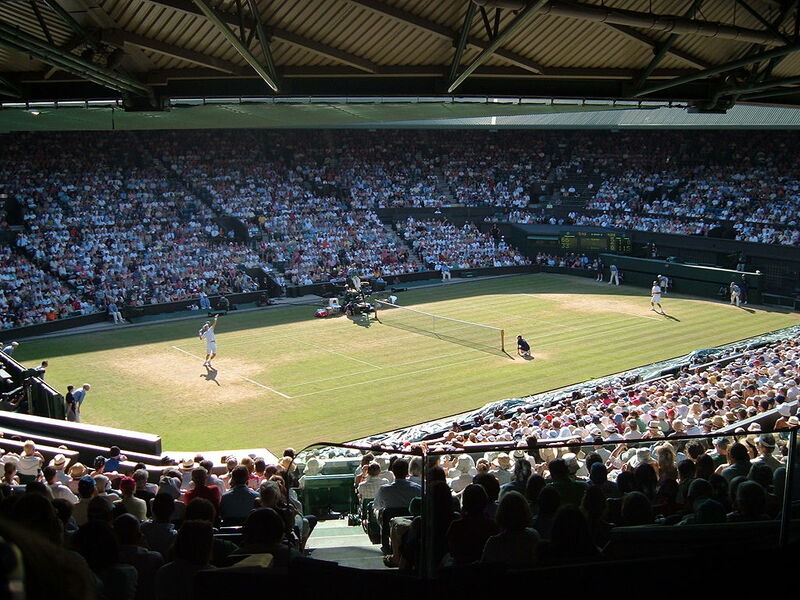 At Wimbledon, tie-breaks are not played in the fifth set. * An arithmetic progression is a sequence of numbers in which each term is equal to the previous term plus (or minus) a particular constant value called the common difference. In this puzzle, we are interested in arithmetic progressions with five terms, where the common difference could be any integer. For example: 8,6,4,2,0 is an arithmetic progression with common difference -2.